Things are finally beginning to settle down in our household. I'm anxious to get back in the kitchen - cooking up something delicious to share here. For the time being though, I wanted to share some recent products I'm lusting after. Ever since my little guy was old enough to speak, he's called anything gold - 'golden' [which I love!] 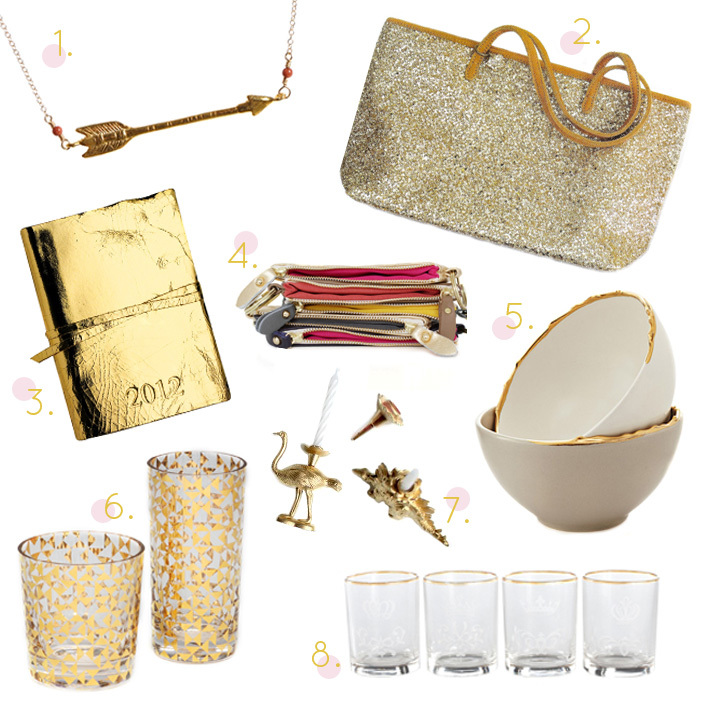 I've been going through a gold phase lately...so here are some of my favorite golden goodies from around the web. Absolutely love the arrow necklace!!!!! I'm looking forward to the return of your recipe posts! Ohhh all of these are gorgeous, Kate! Those gold-rimmed bowls and glasses, especially!